Copenhagen's Whomadwho trio (formerly on Gomma) make their Kompakt debut with third album 'Knee Deep'. It's by far one of the most rock/pop oriented releases on the label for some time, but their guitar/drum/vocal equation is well balanced with enough electronics to warrant their signing. The trio crafted the album in a "semi-built hotel" in their home city, and ended up with two sets of quite different songs. 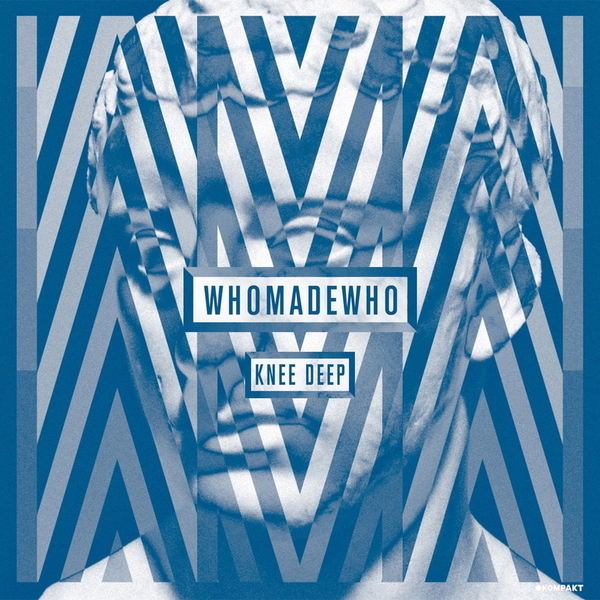 'Knee Deep' would appear to be the more reflective, sombre side of them, apparently influenced by marriage breakups, label disputes and so on. But that's not to say these aren't dancefloor-ready; just check the throbbing Italo elation of 'Muskateer' or the driving electro-rock of 'Two Feet Off Ground', while even the most maudlin moments such as 'Every Minute Alone' with its mournful vocals or the punk-funky 'Checkers' come with pulsing rhythms. A Danish Hot Chip, anyone?